JW, a 64-year-old woman, complains of chest pain that is not entirely associated with exertion 5 days after hospital admission for the administration of FOLFOX chemotherapy to treat colorectal cancer (CRC). 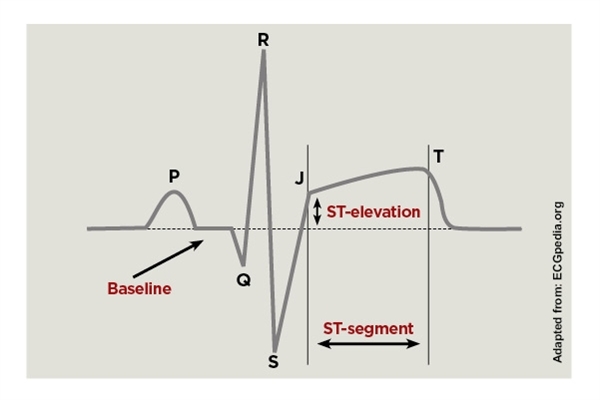 NSTEMI is not the most likely explanation for this patient’s symptoms and labs considering the troponins are only mildly elevated, trending down, and there are no new EKG findings. In addition, JW’s cardiac catheterization did not show any coronary artery disease (CAD). Chest pain that is concerning for acute coronary syndrome (ACS) may present “atypically” in women. Therefore, a careful history and physical is needed to guide the correct choosing of laboratory and radiologic tests. FOLFOX has a multitude of side effects, with fluorouracil having some reported cardiovascular side effects, including arrhythmias and QTc prolongation. Oxaliplatin does not have as many cardiovascular side effects as fluorouracil and is more known for its peripheral neuropathy and gastrointestinal side effects. SMP/TMZ can cause elevated serum creatinine, however it is not the most likely explanation of the patient’s chest pain and laboratory values. 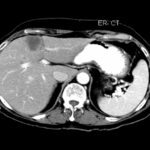 HRS is found in patients with cirrhosis or liver failure, both of which this patient doesn’t have on history, exam, or laboratory values. JW most likely has Takotsubo’s Cardiomyopathy (TCM) which is also known as stress-induced cardiomyopathy and apical ballooning syndrome. The pathophysiology behind TCM starts with a stressor that is emotional or medical (e.g., infection) in nature,thereby leading to a temporary decrease in the systolic function of the heart.1,2 Although the exact mechanisms behind the decreased left ventricular (LV) function are not fully understood, the leading theories include excess catecholamine release and coronary vasospasm.3 The LV develops markedly decreased contraction of the mid and apical segments, which leads to an up-regulation of the surrounding basal walls (hyperkinesis). (Slide 3) This causes the heart to take on the shape similar to a “takotsubo”, which is the Japanese name for an octopus trap. (Slide 4) The inciting medical stressors for JW included her initiation of chemotherapy as well a new urinary tract infection. Echocardiograms will show the characteristic akinesis of the apical portion of the LV with ejection fractions, ranging from about 20% to 50%. Cardiac catheterizations can show either mildly diseased coronary arteries or normal vasculature.